Jonathan Cohen is one of Britain's finest young musicians. He has forged a remarkable career as a conductor, cellist and keyboardist. Well known for his passion and commitment to chamber music Jonathan is equally at home in such diverse activities as baroque opera and the classical symphonic repertoire. 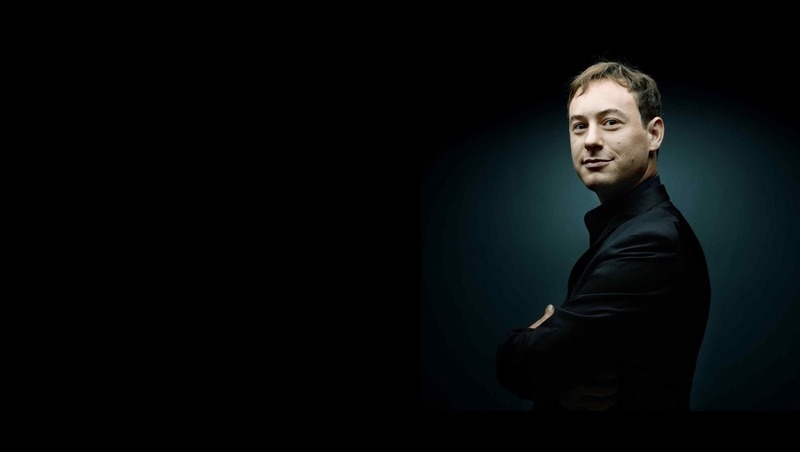 He is Artistic Director of Arcangelo, Associate Conductor of Les Arts Florissants and Artistic Director of Tetbury Festival. Recent conducting highlights have included Scottish Chamber Orchestra, Saint Paul Chamber Orchestra, Royal Scottish National Orchestra, Swedish Radio Symphony Orchestra, Kammerakademie Potsdam and performances of Rameau’s Hippolyte et Aricie at Glyndebourne Festival. Future conducting dates include Le Nozze di Figaro with Opera de Dijon and Opéra Théâtre de Saint-Etienne, Lockenhaus Festival, Verbier Festival, NDR Radiophilharmonie Hannover, Hague Philharmonic Orchestra, Hamburg Symphony Orchestra, Seattle Symphony Orchestra, Zurich Chamber Orchestra, Vasteras Sinfonietta, South Jutland Symphony Orchestra, reinvitations to Saint Paul Chamber Orchestra and Budapest Festival Orchestra, and Aalto Theater Essen with Mozart’s Die Entführing aus dem Serail. With Les Arts Florissants he conducts in Vienna and St. Petersburg. Jonathan founded Arcangelo, with whom he performs high quality and specially created projects. He tours with them to exceptional halls and festivals such as Philharmonie Berlin, Vienna Musikverein, Köln Philharmonie, Ghent Cathedral, and Carnegie Hall New York. Recent highlights include Bach’s B Minor Mass in Ghent and Handel’s Apollo e Dafne at Zankel Hall New York. Arcangelo are busy and much in demand in the recording studio, partnering with fine soloists. Jonathan and Arcangelo have received five star reviews with ‘Porpora cantatas’ and ‘Arias for Guadagni’ with Iestyn Davies on Hyperion, the latter disc won the Recital Category at the 2012 Gramophone Classical Music Awards. Other recordings are ‘Enchanted Forest’ with Anna Prohaska on Deutsche Grammophon, ‘Amoretti’ with Christiane Karg (Mozart, Gluck) on Berlin Classics, Handel’s ‘Finest Arias for Base Voice’ with Christopher Purves on Hyperion and their most recent disc ‘Monteverdi Sestina Madrigals’.